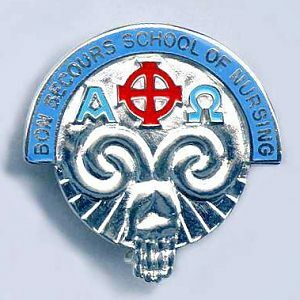 Bon Secours School of Nursing (Ireland) badge 3. The Bon Secours school of Nursing badge was awarded to nurses on completion of training. It is circular in shape and made from (material), with the hospital name, date of the hospitals construction and motto inscribed in French around the upper circumference. The badge weighs (weight) grams and has a rear (pin/button) fixing. 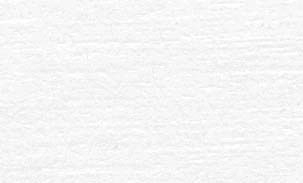 Picture: The central design is of (description). Badges (were/were not) inscribed with the recipients name and date on the reverse.